I kicked off the 2014 edition of my annual Christmas gift guides with my top gift picks for girls. Today, it's the guys' turn. 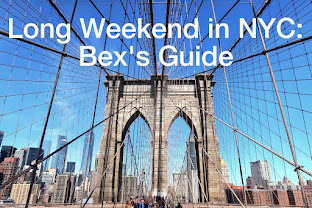 Some of these ideas are more unisex than guy-specific, but I've tried to select a variety of different items from a range of price points (the most expensive product is about £180, but the others are much cheaper). 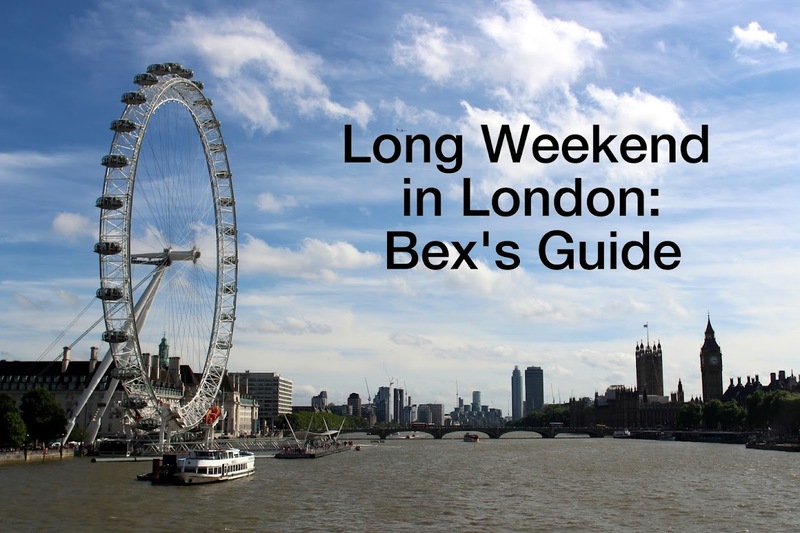 If you're on a bit more of a budget, tomorrow I will be posting the final part in my gift-guide trilogy, which highlights some ideas in the sub-£15 price range. 1. Copa glasses and two mini-gins from the London Gin Club. £17. At the London Gin Club, the G&Ts on the tasting menu are served in these over-sized glass goblets. They're elegant, but also allow the gins to breathe more before mixing. This gift set also includes miniature bottles of two great gins: Brokers and No 209. 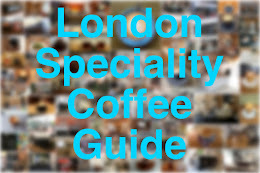 A voucher for one of the London Gin Club tasting menus would also be a great gift idea. 2. W&P cocktail kit from Mason Shaker. $280. To say that the Mason Shaker is so hipster it hurts is something of an understatement, but I really like how it looks on my bar table. 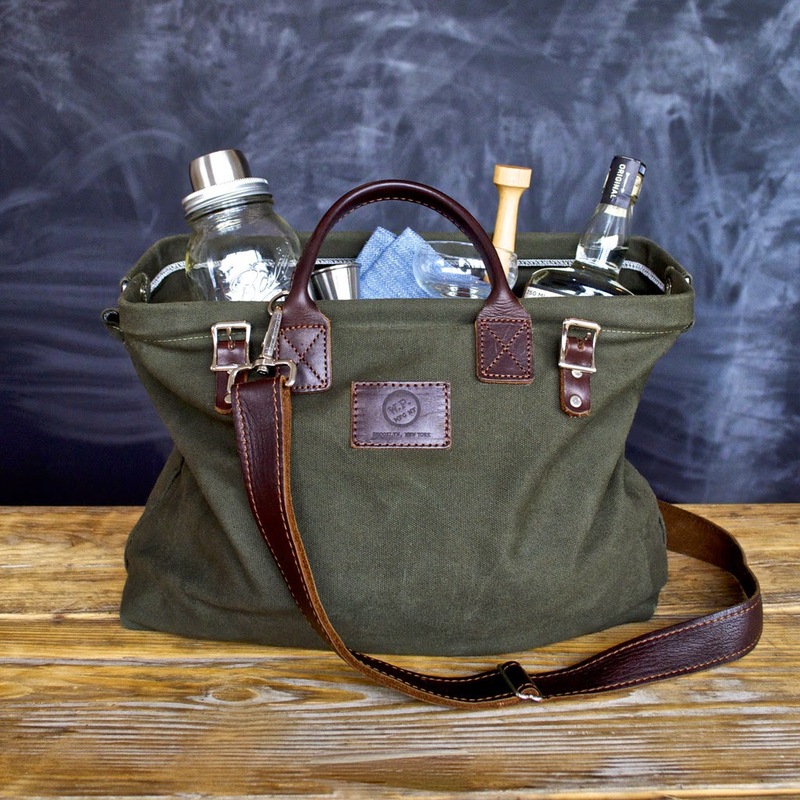 Mason Shaker have put together a leather-trimmed canvas shoulder bag that contains all of the kit you need to super-charge your cocktail-making skills, at home or on the go. The same kit was available on the UK-based Nudge Bazaar for £87.50, but although it has now sold out, perhaps they will get more stock? 3. 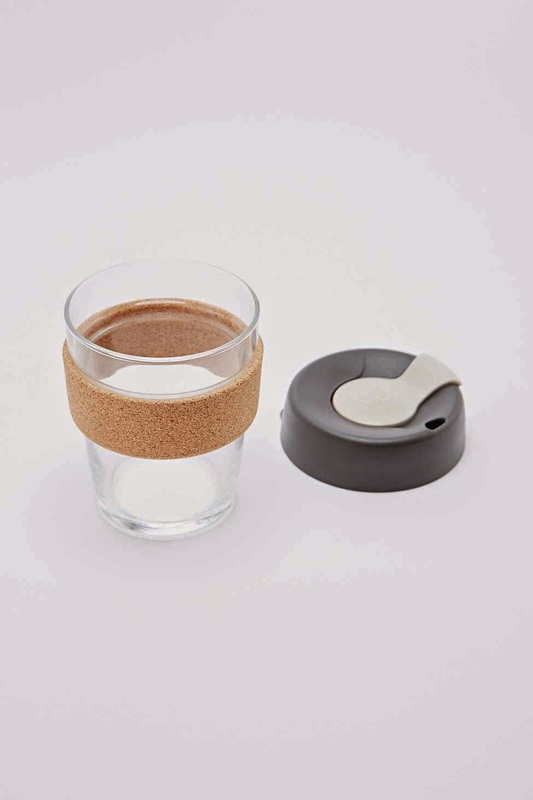 KeepCup Brew cork edition from Urban Outfitters. £22. I have two of KeepCup's reusable plastic coffee cups in suitably bright colours, but the glass versions are a little more chic — I keep one at work and use my plastic cups when I'm on the go — and the limited edition cork versions are particularly stylish. 4. Famous movie quotes poster from Flowing Data. $29 (shipping to the UK is about $15). 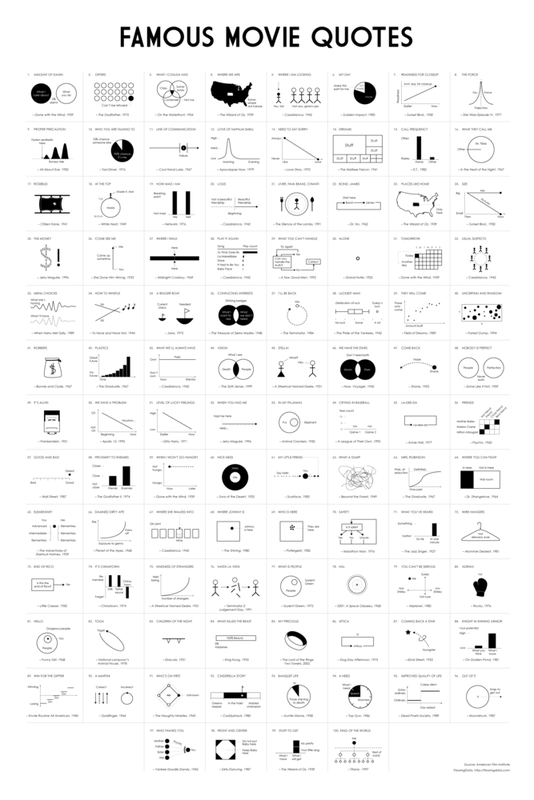 This amazing poster contains neat visualisations that represent 100 famous movie quotes. It's almost like playing Catchphrase! I haven't ordered this for myself yet (I have a lot of movie-related posters already), but it's only a matter of time. 5. Typographic book end from Goodwin & Goodwin. £19.95. If you like typography, you will really like the products in Goodwin & Goodwin's online store. This book end would be perfect for a film fan — or a fish aficionado! 6. 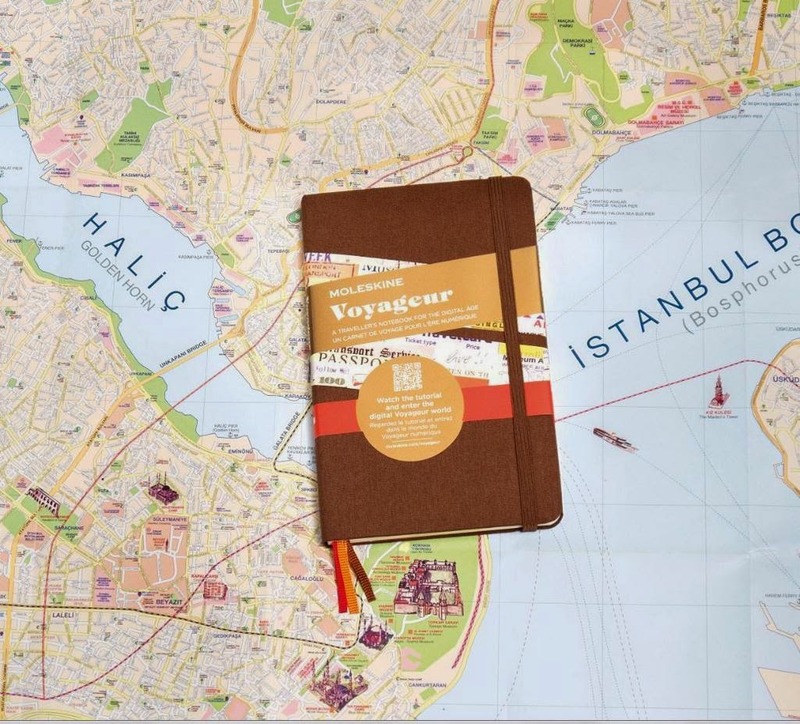 Voyageur traveller's journal from Moleskine. £19.90. I've long been a fan of Moleskine's city guides, but this year they brought out a new travel notebook designed to help organise and record all of your adventures. You can keep maps, notes, lists and itineraries inside, there are section dividers and stickers, and it also looks rather dapper. 7. 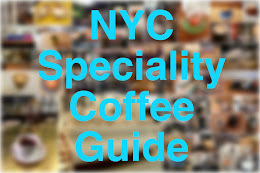 The coffee deck from J. Crew. £16. The perfect deck of cards for coffee lovers. Each card tells you something about the brewing or drinking of coffee. If, like me, you're a bridge player, you will know how nice it is to have something to read while you're waiting for your partner to play. 8. Full Windsor 'The Nutter' bike tool kit from TokyoBike. £40. 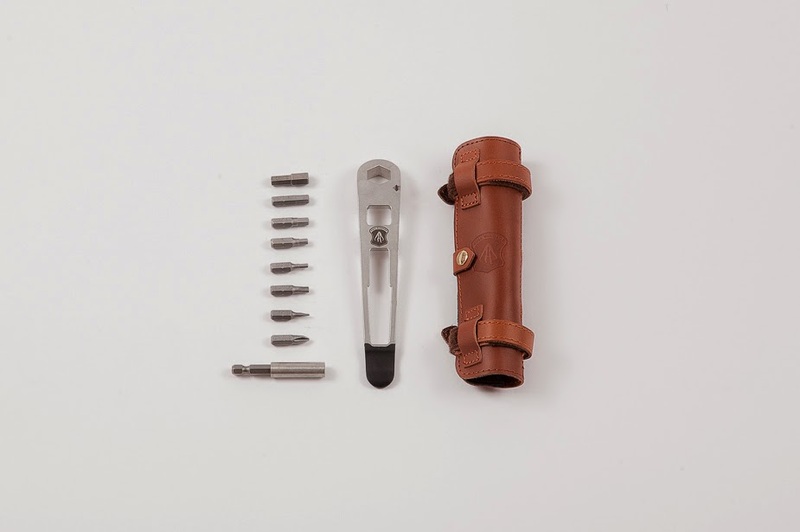 A stylish and compact brown leather case containing all of the key tools for fixing bike woes on the go. It's so small and light you may forget this case is at the bottom of your bag, so if you are planning any international travel, don't forget to take it out first or you may have problems going through airport security! 9. Lapel flower from Jack Spade. $30. 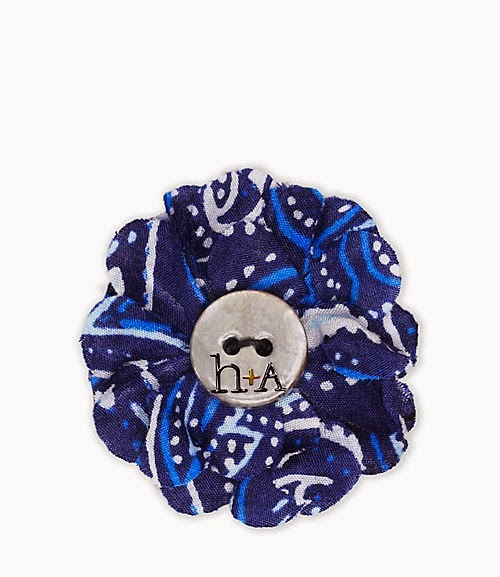 If your man's lapel is lacking, Jack Spade, as always, has a solution: the lapel flower. They come in several colourways, but this blue-on-blue version is my favourite. Jack Spade doesn't have a UK-based online store, but Londoners can stop by their Soho shop; you may well find a few other Christmas gifts while you are there. 10. Harry's for J. Crew Truman shave kit from J. Crew. £25. This shaving kit includes a smart teal razon, which will look good in any bathroom, as well as three blades, a blade cover and some shaving cream. Shaving kits can be a bit of a boring gift, but this one is elevated by its cool credentials.